Application Methods helps us to perform different actions to deal with Excel Workbook Applications. For example, we can Run a Application and Pause a Application etc. Explore the various methods and examples on Excel VBA Application using side navigation. 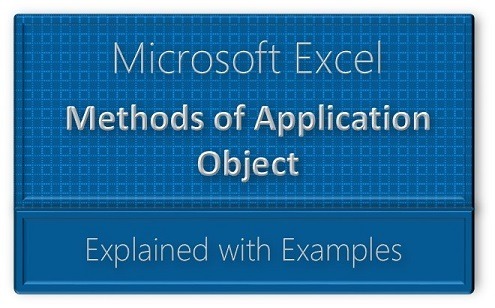 Below are the most frequently used Excel VBA Application methods.